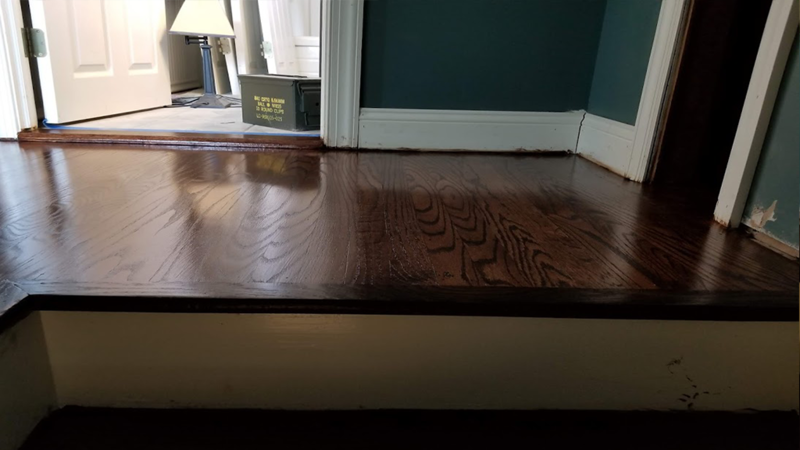 Despite being recommended to a hardwood floor re-finisher this homeowner trusted his instinct thinking the results were not acceptable and worthy of paying for. 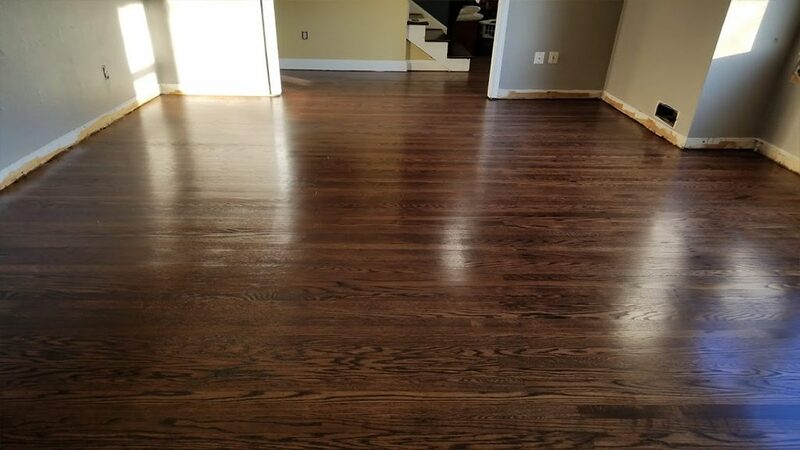 At the beginning Jack felt reassured he made a good choice in hiring his hardwood floor re-finisher, who on multiple occasions did work in other homes for family and friends in the Stratford NJ area, for over 10 years. 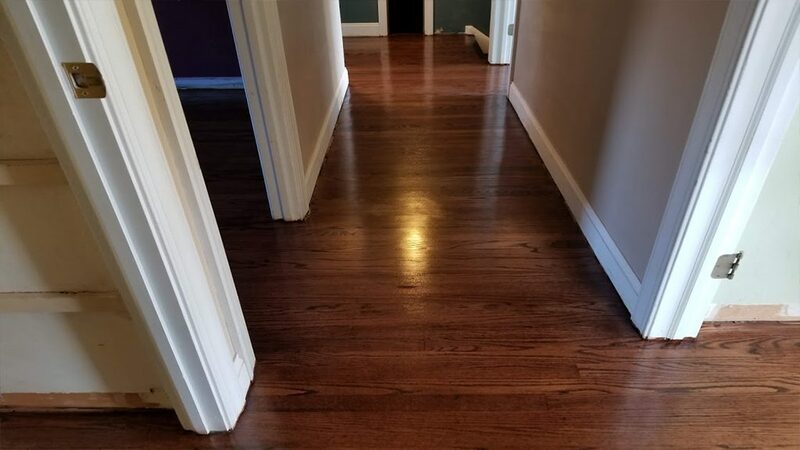 Confident he would have beautiful floors when they were done he eagerly hired the same company. 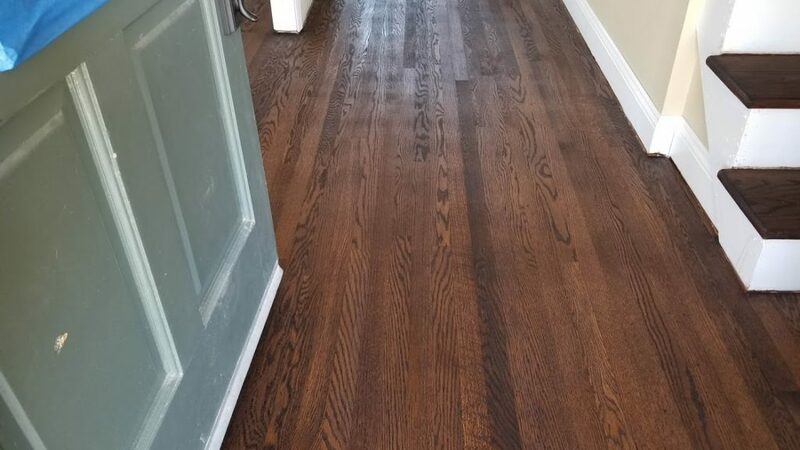 Besides choosing color, he had a couple simple requests- one, was to fill the holes and gouges before finishing the floor, and two, please finish the floor with a matte finish. Jack greeted the owner who inspected and estimated his job. However, that was the one and only time Jack saw him. When the work began others were doing it. Of no concern, why question it. Jack, a landscape architect, knew the ropes. Once finalized, Jack (who himself is involved with contracting and handing off his design plans for execution had no reason to become concerned.) The boss likely would hand the job off to subordinates, but ones with experience, skill and ability to execute the job as agreed. Not so much. Jack reviewed his concerns with the lead person on the job, who reassured him all details would be handled as expected. The concerns began mounting. Looking at the floor Jack saw that the holes were not filled. Then, when the finish was applied he questioned if the sheen was the matte finish he requested, and was told yes, it was. 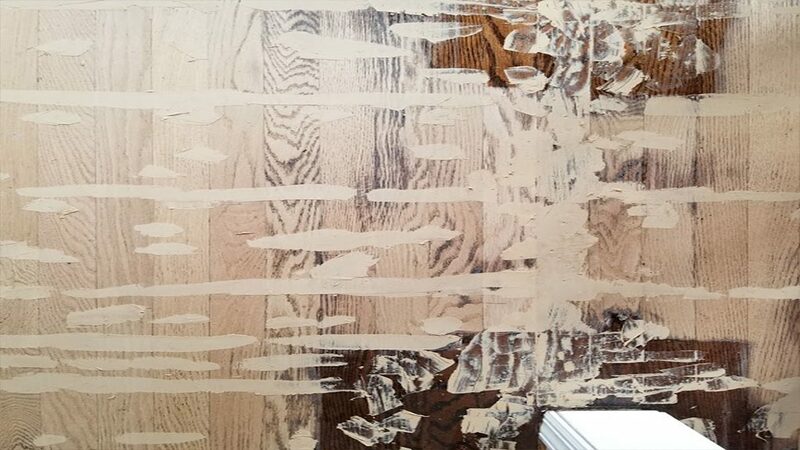 Then on Feb 6th, the last coat was applied, and the finishers vacated the property- leaving their dirty work behind. So Many Mistakes- The Pictures Are Numerous! Three Nots or More, Not A Charm! Not sure what was the defining moment, or the icing on the cake for Jack, one thing was for sure- he was NOT HAPPY! ( I wouldn’t be either!) 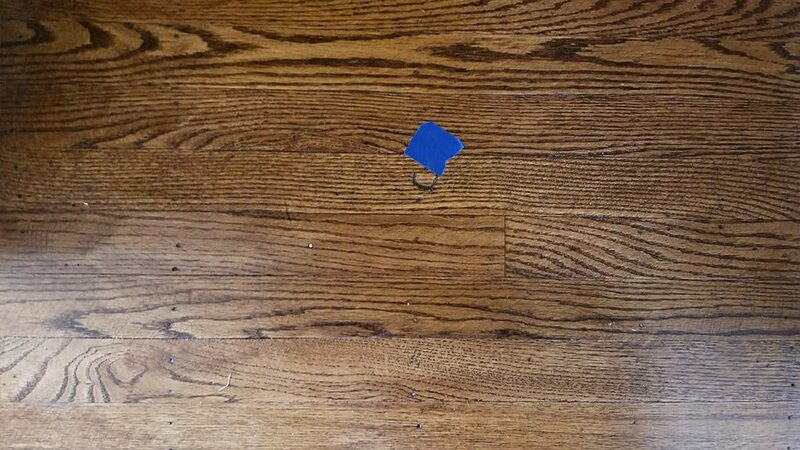 With multiple problems, Jack set about to mark all the areas with blue tape that he found unacceptable, and then called the owner. The owner arrived and was greeted by Jack, who invited him in to look at the overall job, and the problem areas identified with blue tape. Upon entering, in unspoken language, Jack witnessed the owner’s eyes get real, real big as they went from front to back, from top to bottom. Amazingly, without talking, commenting or apologizing, the owner’s body language and facial expressions spoke loudly- there was no need for words. The owner was clearly disgusted, but said absolutely nothing. After pointing out all the different problem areas, the only thing the owner offered, in broken English, was to put quarter round up to mask some of the imperfections. No other attempts to fix things were offered. The the meeting over, the owner left, Jack was left hanging, and was unsatisfied. Initially wanting to give the guy the chance to rectify things, Jack realizes the guy has no intention in fixing anything. Disappointed, when the guy left, Jack realized he wasn’t going to get his issues resolved. Coming to terms with things, not only will he not let the guy or his crew back in his house, Jack couldn’t justify paying him either. 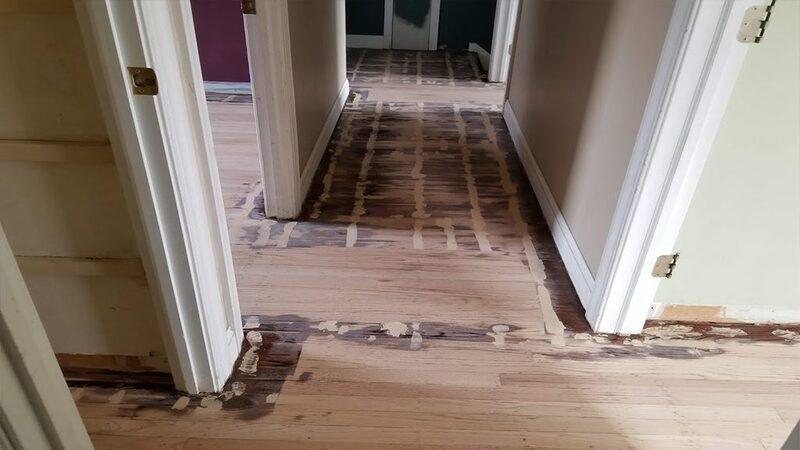 Faced with this dilemma, Jack was determined to get the floor fixed,. Then he would address whether he should pay this guy anything, or not. So, to clarify his concerns he jumps on line, absorbing everything he can about the problems, and researches how things should look. 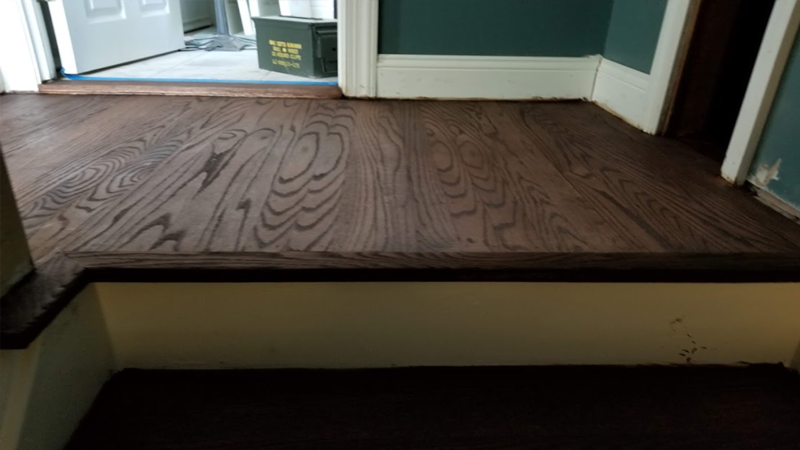 He also researches and vets out other hardwood floor re-finishers with good reviews and reputations to call upon. We got a friendly call from Jack who gave us insight to his situation. 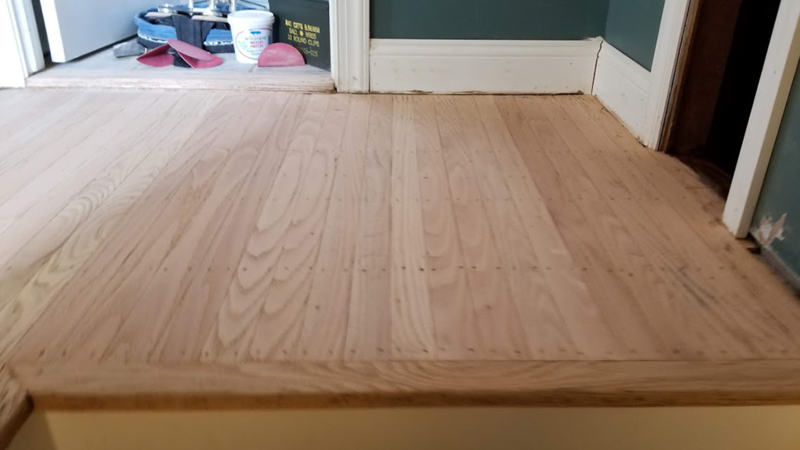 He eagerly wanted us to come look at his project, and conveyed he had just had his floors re-finished and admitted there were problems with the work. Having spent a lot of time on line he mentioned that he was impressed with our reviews and pictures on line, and wanted help in rectifying the problems as quickly as possible. We offered to come right over. Surprised at our quick response, Jack was delighted (in the bigger scheme of things- the floors are holding him up from other renovations he is doing preceding his move in.) 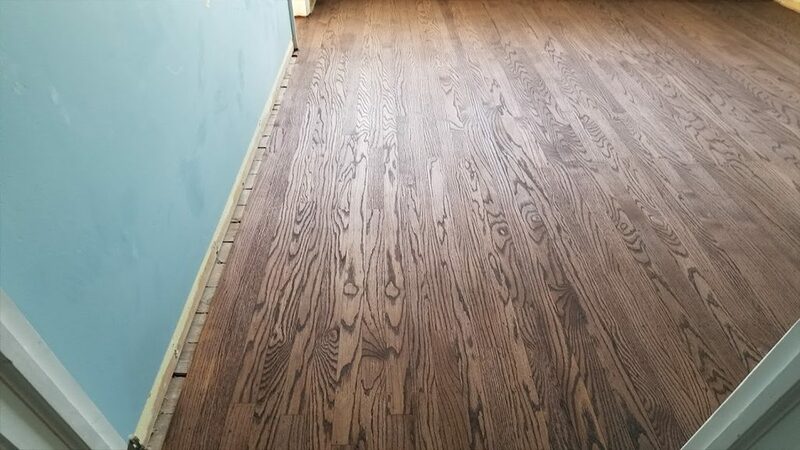 Again, during the meet n greet he thanked us, acknowledged our credentials, complimented our work and pictures on line, and asked for our opinion of the status of his floors. Finally, he indicated he would welcome us or the other contractor’s help to restore and or re-do what was done to a more acceptable manner. 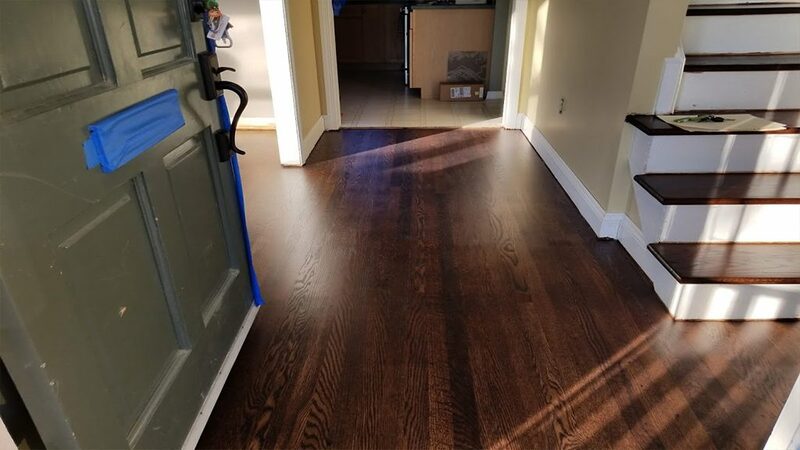 Honestly- before first glance we wanted to encourage him to resolve his issues with the contractor, but after hearing where things were left with the owner of the refinishing company, and then seeing them firsthand, we agreed he needed help. Wanting to be fair, Jack asked us for ideas and solutions. But the more we found and pointed out to Jack, the more he became convinced he had to cut ties with the other guy, and move on. After an honest assessment and measuring the project, Chris provided Jack with an estimate there on the spot. And, he shared that we could do the job right away, with the go-ahead. Jack thanked us, and admitted he liked what we had to say, and felt what we recommended would right his wrong. 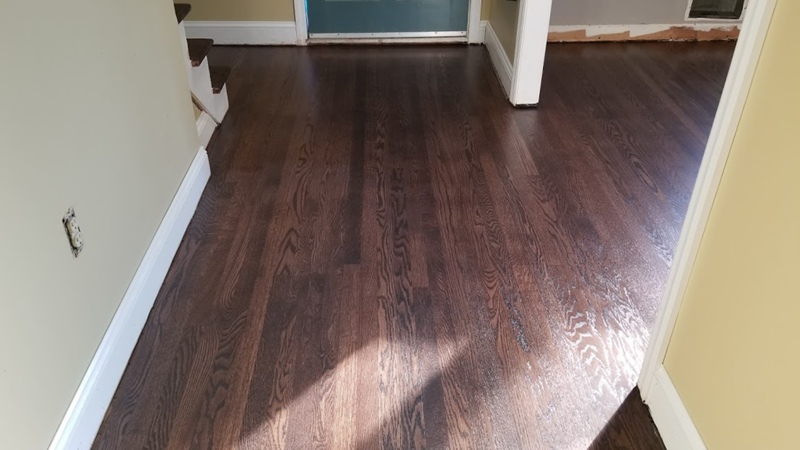 He said he was very comfortable with us and would let us know after getting the estimate from 1 other contractor. Come Tues Jack called and said we are hired! 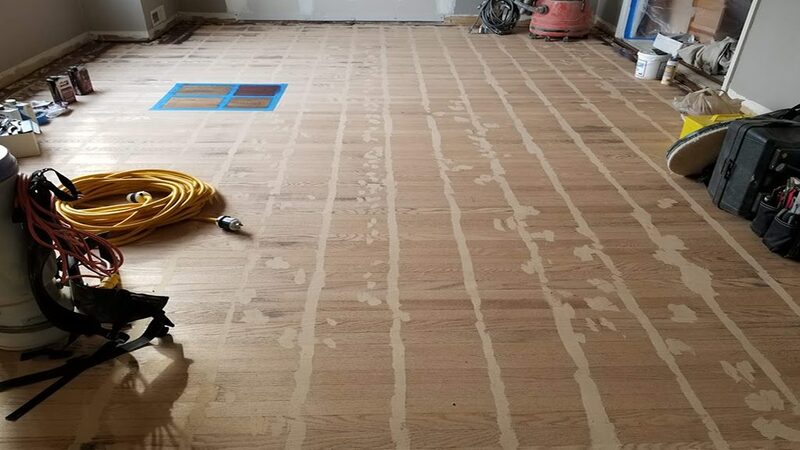 While we weren’t surprised he called to have us help him, we were surprised he wanted the entire project re-done. We had given him 2 choices, either just the first floor and stairs, or everything on both floors. And, the entire project it would be. “Now that’s what I’m talking about-” as Jack sees the putty applied to the floor to fill the gaps and nail holes. Given our water-based method, not only are the imperfections filled, all the nail runs are filled as well. In no time, Jack sees how different “a proper” job should go. Happily being kept apprised of the progress, Jack knows his decision was the right one. Having confidence as he inspects our work, he does ask for the chance to look over the completed sanding job. Of course given what he just went thru, we were all too happy to accommodate him. Giving a thumbs up, Jack is excited to see the finished product! Over and over again he was thrilled. Each area marked with blue tape was resolved, and his vision of what it should look like, did in fact do so. 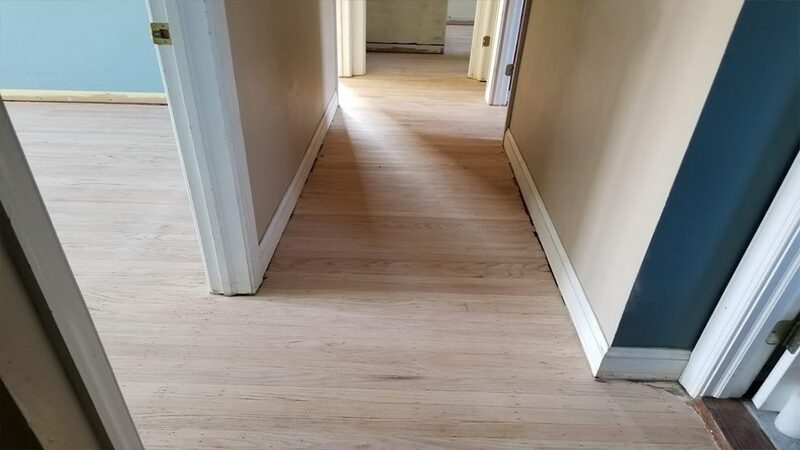 “Now we’re talkin’!” When the stain in applied is the moment “the proof is in the pudding!” Each and every imperfection in the sanding was fixed, and the stain evenly covered the floor. No longer was there a variation of light vs dark from the edges to the field. No longer was there roughness in the texture, no waves of dark and light, and all the staples were removed. 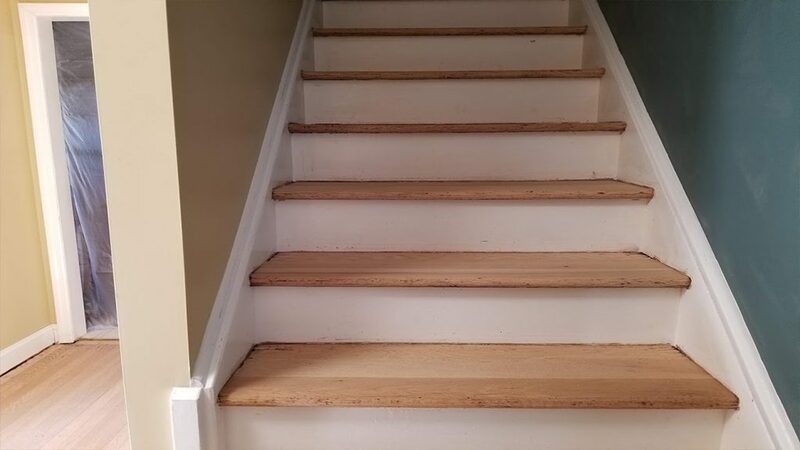 The swirl marks on the stairs were gone, and the stair tread shape was redesigned. 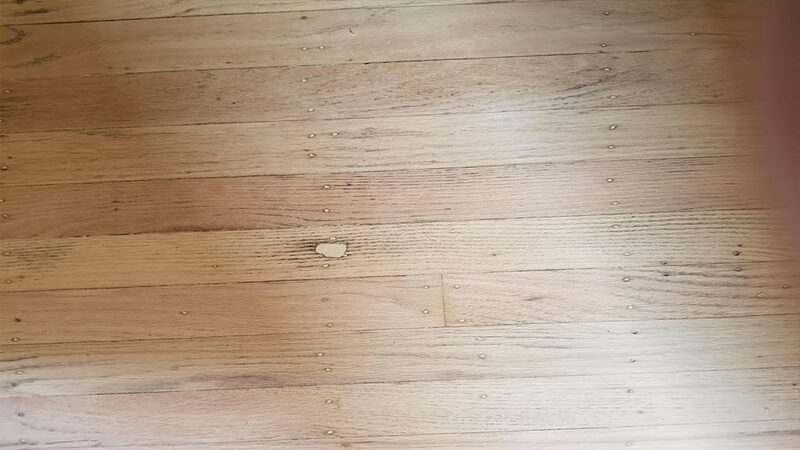 The lightness of the boards in the foyer blended perfectly, and everything was filled. Jack gave us the go-ahead, and the seal and finish coats were applied. 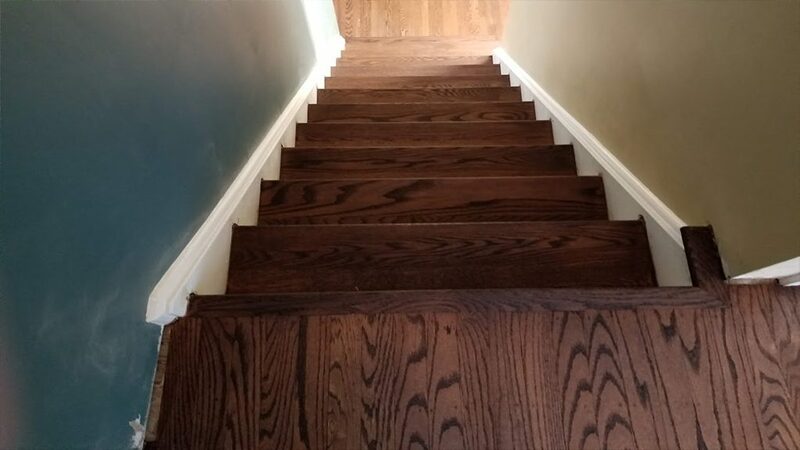 While at first wanting a matte finish, Jack took our advice and went with a satin finish (knowing if he did not like the sheen, we could change it with the second finish coat.) 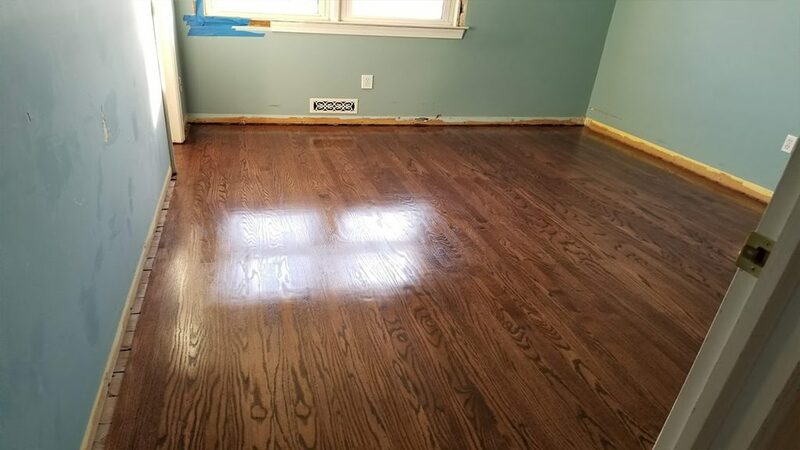 He also was really happy with the new stain choice- similar, but richer. A done deal! Jack couldn’t be happier. Soon he could get on with the other projects lined up before moving in. No matter which way you sliced and diced it, there was no comparison in the workmanship from the first attempt to the second. And happily, Jack felt liberated from the hardwood debacle he first experienced. With his personal experience resolved, he would certainly share his experience with others so his mistake was not repeated! The hardwood nightmare was over! The first contractor has never been heard from since, and Jack was pleased to pay for work well done. 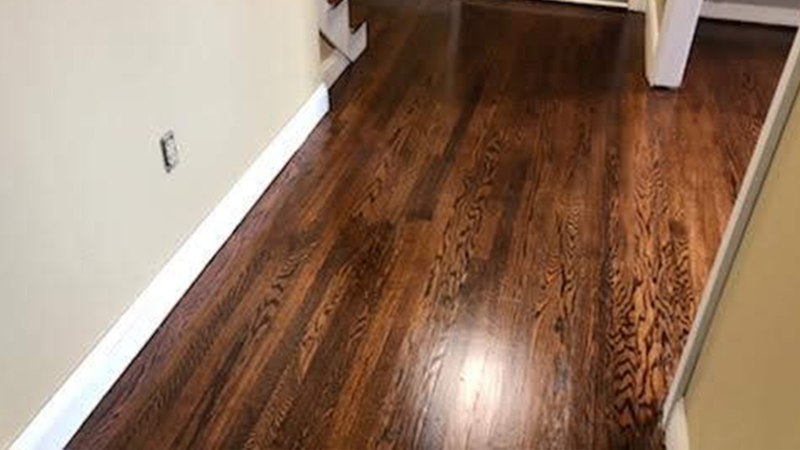 If your hardwood floor refinishing project did not go planned you can get help! 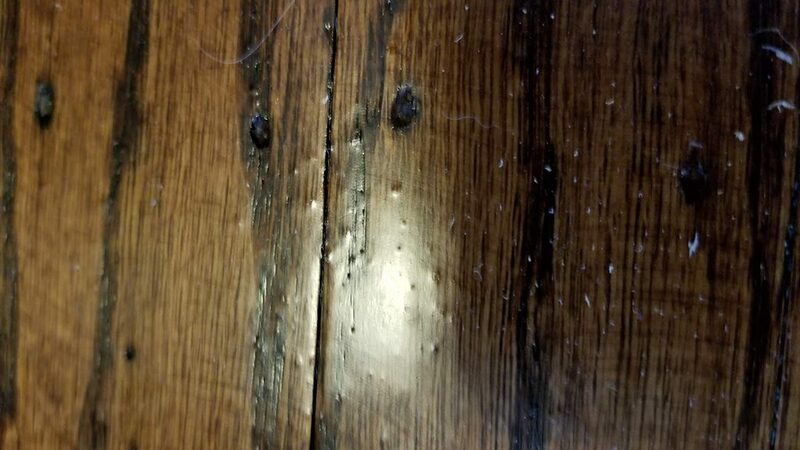 If you see staples left, light and dark variation in the stain, swirl marks from the sanding, or a rough appearance or feel to the floor, it is not right. 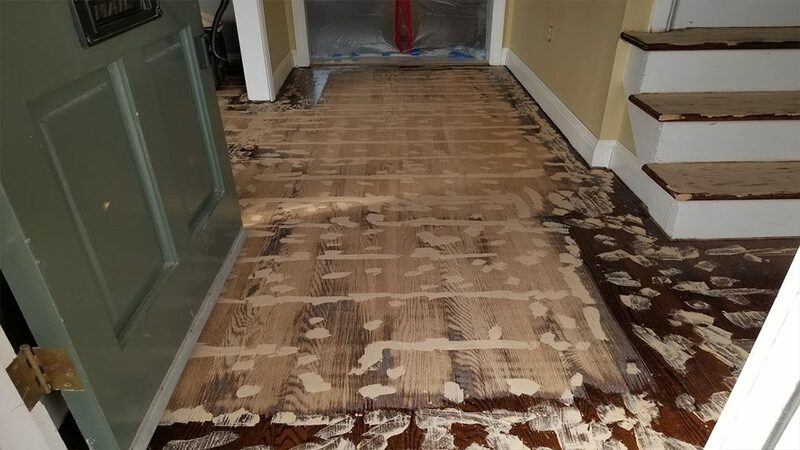 If you see crud and debris in the finish, gouges or holes in the floor, it is not right. This sub par work is unnacceptable, and if you blow the whistle during or after they work, it can most likely be fixed. 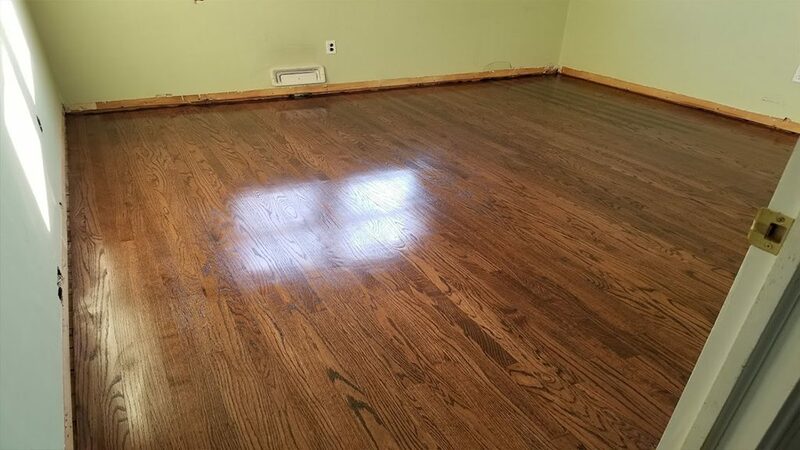 Don’t be fooled, you don’t have to settle for hardwood floors looking like this. 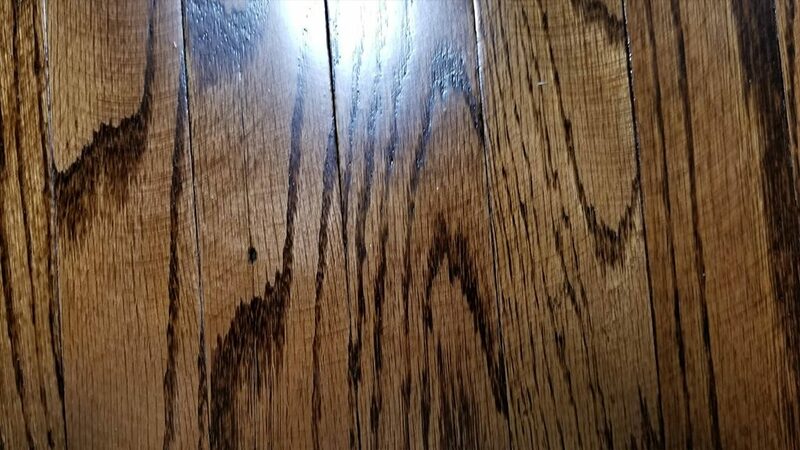 Call us to evaluate your project if your refinishing company leaves you with results like this. 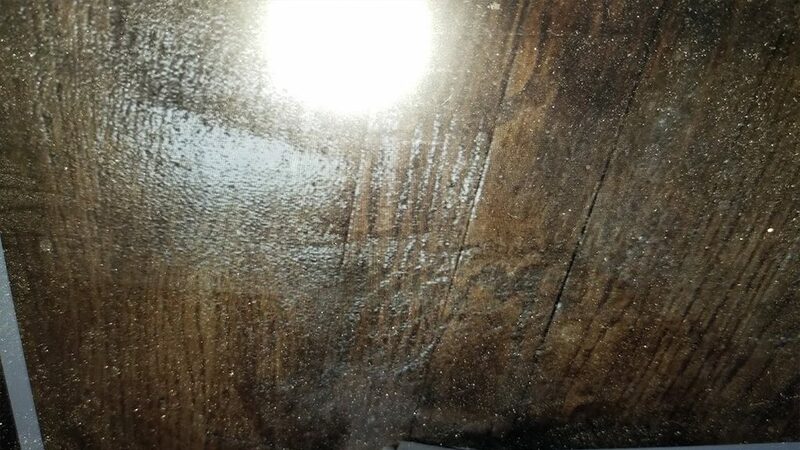 Call before you pay- this workmanship is not worth paying for. 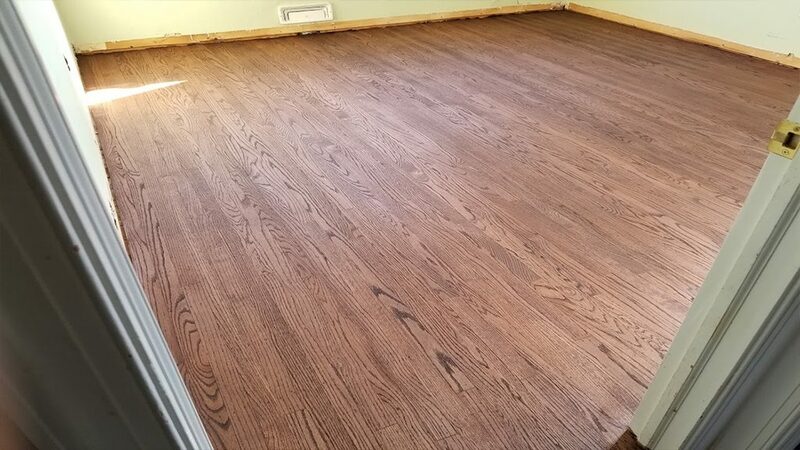 We will evaluate the work, validate if it is sub acceptable and give you a prescription and free estimate to fix it Call us at 609.953.0472 or contact us online.